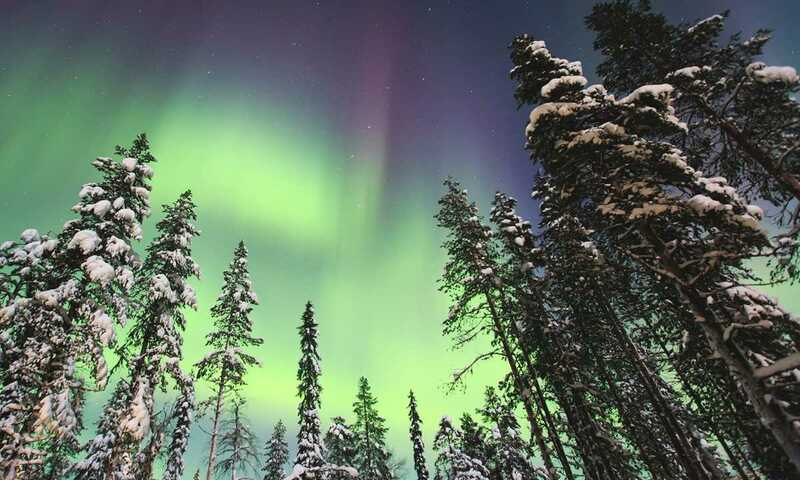 Head north to Churchill, renowned for its high auroral activity, and capture images of the ethereal Northern Lights. Accompanied by an expert photographer, evening aurora sightings are maximised using multiple, heated vantage points while you wait in anticipation. By day, the stark beauty of the tundra, the chance to go dog sledding and Churchill’s rich history provide ample photo opportunities. This morning you board your flight to Churchill. On arrival, transfer to the hotel and take a brief tour of this historic settlement that was once a remote fur-trading post on Hudson Bay. As night falls, head out in hopes of a first chance to see the spectacle of the Aurora Borealis. The display often begins as a pale glow low in the northern sky that slowly begins to shift and undulate. Wavy patterns evolve, colours appear and change, until the lights look like shimmering curtains of green, or sometimes yellow or red. For centuries, the phenomenon of the northern lights was a mystery, inspiring a host of mythical explanations. While we know now the aurora is caused by the interaction of the solar wind with the earth's magnetic field, more poetic stories of their origin linger, including the Hudson Bay Inuit's belief that the lights are the magical display of their ancestors' souls dancing in the sky. On these dark, frigid nights in the Canadian North, you'll be placed in optimal photography locations away from the lights of town where views of the aurora are best. Yet you won't have to stand outside in the cold while you wait for the lights to show up: each evening will include a vantage point on the night sky where you'll be able to witness the phenomenon in warmth and comfort. The new custom-designed Aurora Pod features 360-degree views of the sky, courtesy of its exclusive geometric glass construction including clear half-walls. You'll can also keep watch from Plexiglass Aurora Domes. Relax on the sofas below, step up to the upper level for an unimpeded circular view, or head outside for a totally clear vista of the shimmering skies. You'll have a chance to practice our photography skills at every turn, guided and inspired by presentations and workshops as well as personalized tips from our Expedition Leader. While the nights are devoted to capturing images of the aurora, daylight excursions focus on the austere beauty of our tundra environs. The hope is to photograph hardy northern wildlife, such as Arctic hare and Arctic fox, both artfully camouflaged by their white fur coats. The town of Churchill is also full of photo opportunities, with historic buildings and colorful locals. The Hudson's Bay Company established a fort here in 1717 as part of its fur-trading network across the Canadian North, but indigenous cultures had already been flourishing in the harsh climate for thousands of years. Explore their heritage on a dog sled ride through the boreal forest, during a visit to the Eskimo Museum, and via cultural programs featuring the arts and traditions of the Inuit and Dene peoples. The morning is free to wander Churchill's main street, where several locally owned shops sell authentic First Nations handicrafts, from traditional mukluks to sculptures made of caribou hair. Transfer to the airport for your return flight to Winnipeg. This evening, gather one last time for a farewell dinner at the Fort Garry Hotel.